I don't know if any single franchise has been met with equal parts of love and hate as much as Sega's Sonic the Hedgehog. Obviously, it could be argued that the frustration lobbed in the blue speedster's direction is entirely born out of what the company has decided to do with the character over the years. They've taken him from twitch-speed platforming to absurdly bad 3D adventures and back again several times since the series first launched on the Genesis. It hasn't all been bad for Sonic, of course, as he and his crew have had some sparkling entries in recent years. Some fans have actually started enjoying recent iterations of Sonic, Werehog included. 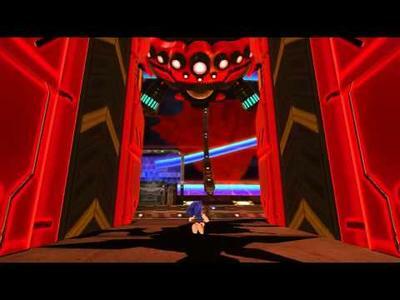 Now, with the upcoming Sonic Generations, Sega is looking to capture the hearts of fans old and new as they attempt to blend the best of Sonic's worlds from both the classic and original versions of their series. In fact, they've even included a both lauded and praised pudgy hedgehog for good measure. For old fans like me, seeing a trailer from Sega that promises to unite old Sonic with new mechanics creates a feeling of optimistic mistrust. On one hand, I love the idea that a good Sonic title may actually be releasing in a mere matter of hours. However, on the other hand, I've been bitten way too many times by this franchise to queue up in line on day one for a purchase. Sonic Generations launches in North America on November 1st (tomorrow) for the Xbox 360 and PlayStation 3. Will any of you old school Sega fans be making the trip out to your local gaming stores to make the buy and take the hedgehog out for a spin on or near launch day? Or, will you be waiting for a mix of buzz and price droppage before Sonic Generations gets your dough?